New for 2017! Significant NEON edges at drive zone for concentrated power. NEON has a traditional back profile and reduced toe. 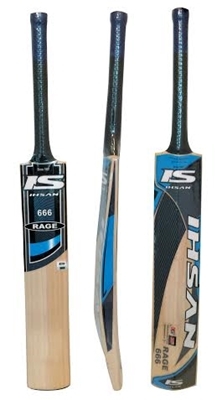 Their is the most popular face today with a confidence inspiring Big Bat design, optimised curved face, improved spin control and a great feel. 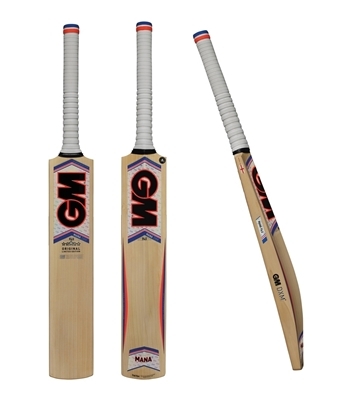 The bats are made in England from Prime English Willow. 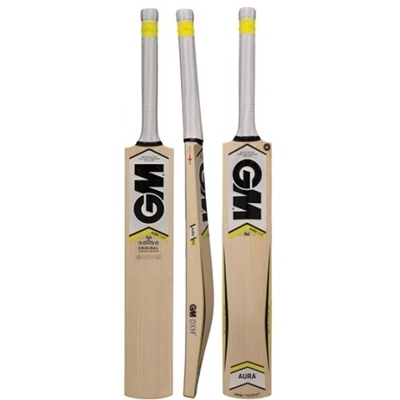 GM English Willow cricket bats are designed and produced from prime English Willow by our own craftsmen and women in our own factory in Nottingham, England. Perfectly scaled bats. 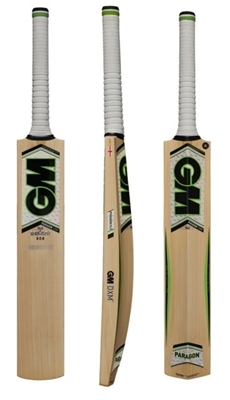 Thanks to DXM technology the shape and profile of all GM English Willow Bats directly replicates the shape of the Adult versions. 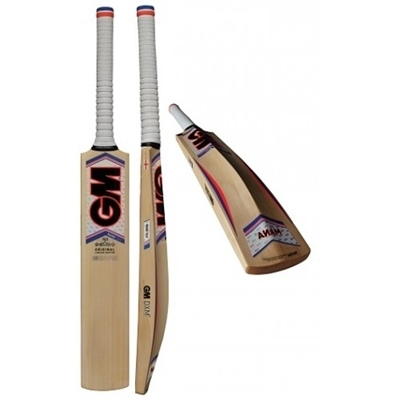 Every bat is dependent on the characteristics of the particular piece of English willow from which it is made. No two pieces (clefts) are the same even from the same tree - the individual cell structure natural density and weight will all vary according to the tree’s speed of growth its habitat its moisture content the prevailing wind and whether its north or south facing. 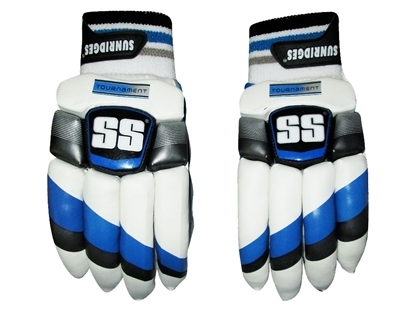 Super soft sheep leather palm with a Velcro wrist strap for snug fit and comfort. 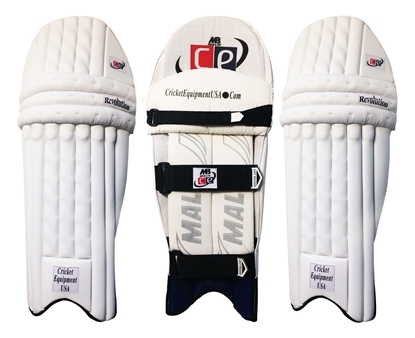 Provides great protection while also being extremely light weight and easy to maneuver. 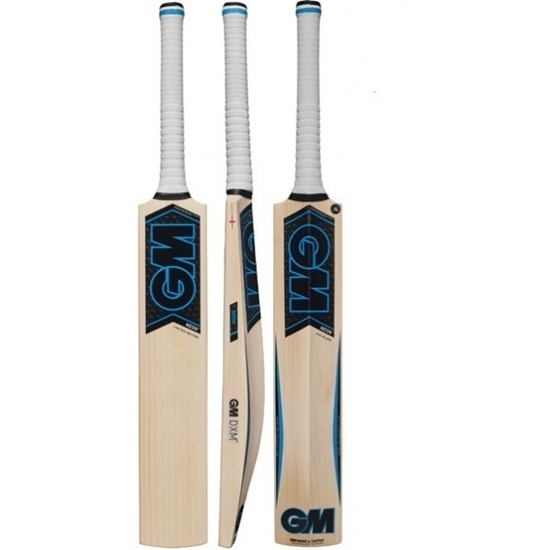 Built for both professional and beginner use. Stylish blue, black and white color scheme. Great value at an economical price!